Here are 12 pirate quotes that work well when you are trying land a treasure. Now you can design and order apparels and gift items using the translated text. Just look for the T-shirt symbol (see below) next to the translated text, click it, design your t-shirt, iphone cover or that mug you always wanted and order it immediately. You now have the power to express yourself, your way rather than relying on pre-made slogans and texts. In time for the great star war movie release we have released our Yoddish Translator for iPhone and iPad. Impress your friends by talking like Yoda! Following the previous Pig-Latin Translator APP now we have Pirate Translator APP available for iOS ( both for iPhone and iPad ). Check it out in the appstore. Our first iOS App is here! Pigs win! Check out our Pig Latin Translator App in App Store. We have just learnt the code of the dark side and revived a language that was dormant for hundreds of years. 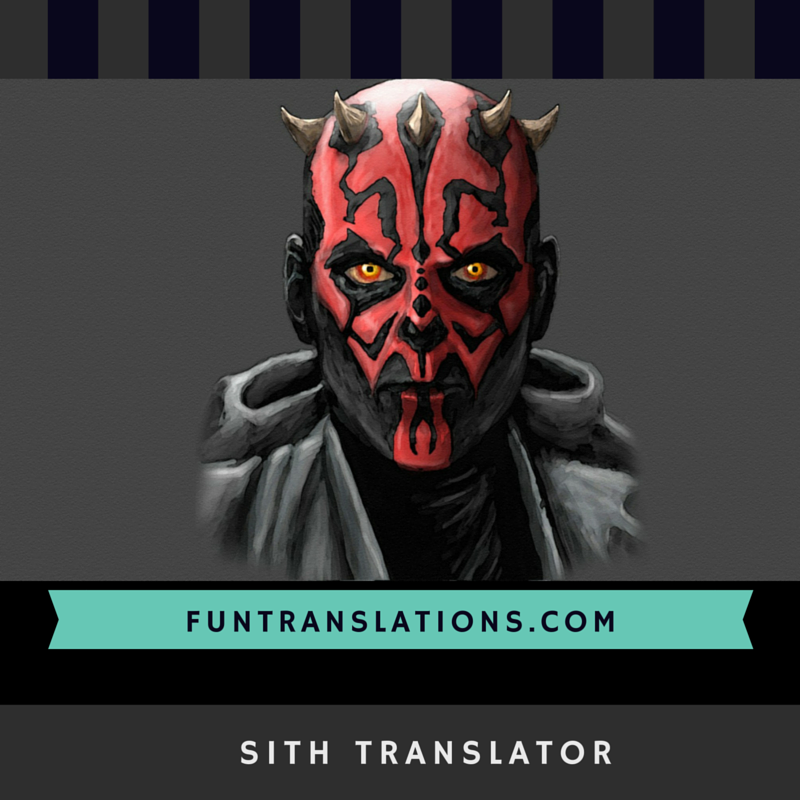 Check out our new Sith Translator and impress your friends talking in Sith. How to talk Pig Latin? Pig Latin has been around for 100s of years and is still popular. Pig Latin is a language game in which words in English are altered. The objective is to conceal the meaning of the words from others not familiar with the rules. The good news is the rules are not that hard. So let’s learn those simple rules and you can claim you have learned a new language! Top 12 Yoda quotes to feel the force! Yoda, though small in appearance packs a punch both intellectually as well as literally. Here are 12 quotes from Yoda that you may appreciate.